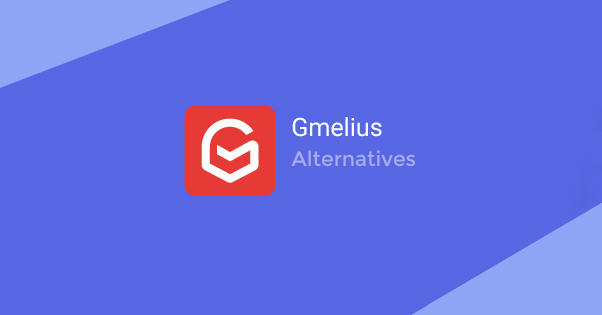 Gmelius is a CRM platform designed as an app that links into the Google email platform, whether you use it through basic Gmail, Inbox by Gmail, or the G Suite. A CRM is a customer relationship management platform, and it can be incredibly useful if you’ve based your email marketing and support in Gmail. What does Gmelius offer? It has real time tracking for your messages, so you can see when a message is opened, who opened it, and where they are. This allows you to send follow-up messages when you know the user is active and ready to engage with whatever you have to say. All of this activity is saved in an activity log, so you can see what has happened and when while you’ve been gone or otherwise occupied. Additionally, you’re able to set up a workflow within Gmelius that triggers automated emails based on actions users have taken. When they open a message, you can send a response after a time delay, or send a different response if they fail to open the original message, and so on. It’s a fairly robust workflow engine. As the title of this post implies, Gmelius also has team features, including a shared inbox for your team if you want to route conversations or specific messages to a central hub for everyone to see. Having a central repository for information is always a good idea. Other features include delayed sending on a schedule, scaling for emails, email templates, Kanban boards, and user profiles so you can see a broader context for contact with customers. The whole thing is priced per user per month, and ranges from a free basic version up to $20 per month per user for everything. If all of this sounds pretty great, well, it is. I’m not saying it’s perfect, though. Maybe you want something a little more robust, or something with fewer features you don’t need, or something that works with more than just Gmail. Whatever your reason, I’ve gathered up 15 possible alternatives you can look into. SalesHandy is an email management app that integrates with Gmail, the G Suite, Outlook, Office 365, and Exchange. 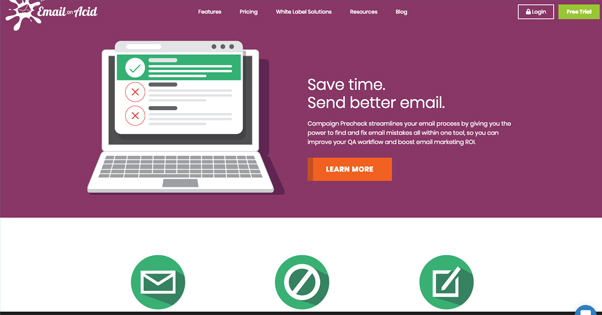 It has a lot of nice features Gmelius does, including document tracking, email scheduling, template support, email tracking with read notifications, campaign management, and automatic follow-ups. Pricing for SalesHandy starts with a free package that includes email tracking only. Everything else is per user per month. $7 gets you document tracking and mail merge, $16 gets you automatic follow-ups, and $40 gets you access to high volume campaign management. All of these are limited to 5 accounts at most, but you can contact them directly for a larger deal for larger teams, customized to your needs. If you don’t need all of the features of Gmelius, but you want the ability to send emails on a schedule, this is probably the app for you. You can install it as a plugin that works with Gmail and the G Suite version of Gmail, though I don’t think it works with Inbox. Boomerang allows you to write an email and schedule it for delivery at a later time, whether it’s a few hours later or a few days later. It has a few additional features that make it more than just a scheduler, though. For one thing, it has apps for iOS and Android. 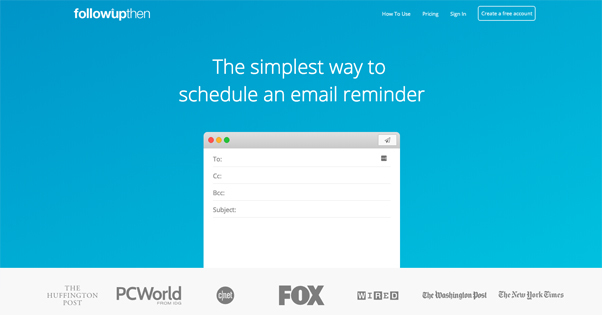 It can give you email reminders and reminders to follow up with a message. It also can include Respondable, a text analysis engine that helps you optimize your emails. It ranks you on your length of subject, word count, number of questions, reading level, and more. All of this adjusts an overall ranking which indicates how likely your message is to receive a response. 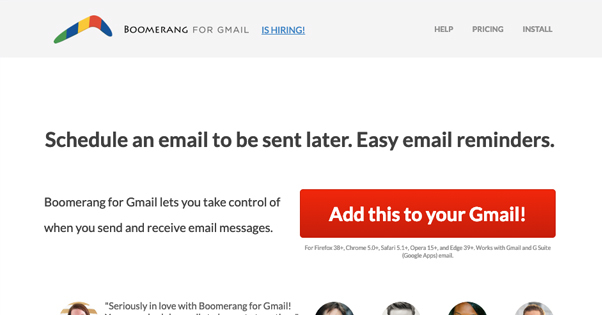 Additionally, Boomerang has the option to get Inbox Pause, which puts your email delivery on hold. Prevent yourself from working outside business hours by putting a hold on all your mail, for a few hours or for entire days at a time. 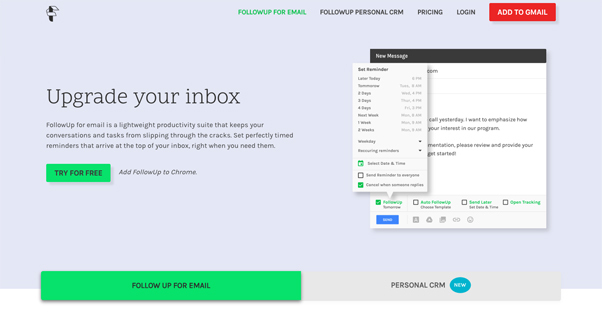 FollowUp is a lightweight productivity app that gives you a handful of additional options for your email management. It has a free trial you can add to Chrome. The basic version has email tracking for opening, and automatic follow-up scheduling. The follow-up engine is smart enough to cancel sending a follow-up if a reply arrives within the window you specify. They also have a Boomerang-like send-later feature. One of the more interesting features of FollowUp is the ability to use it on webpages. You can find something interesting on the web and create a simple email to send it to someone, with scheduling so you aren’t spamming someone with dumb messages at 2am while you’re browsing Reddit. Recently, FollowUp introduced their Personal CRM, which adds more features. It includes contact management with data harvesting so you can see who you’re emailing, and it lets you centralize your contacts in Gmail. You can even write your own notes. Not to be confused with the previous entry, this is an extremely simple app that doesn’t require any installation. All you do is send an email to whoever you like, and BCC it to followupthen.com, with the specific address as the amount of time it should wait. So, “3days@followupthen.com” would give you a reminder in three days. It’s free for a single user with up to 50 reminders per month. It allows a limited 5 recurring followups per month, and give tasks as well, with very minor retention and a limited web interface. More features, like higher numbers of followups each month, attachment support, or response detection require paid plans that range from $2 to $9 per month. 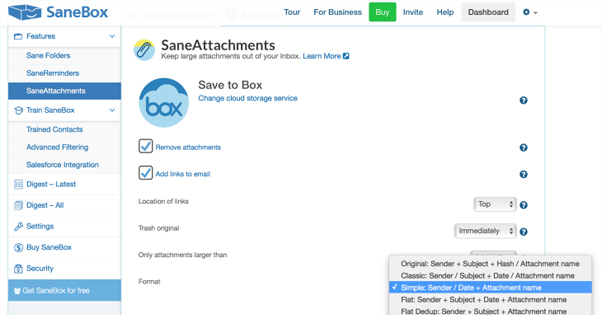 SaneBox is an app that helps you sort and file away your email. It works with a wide range of providers, including Google, iCloud, and Yahoo. It algorithmically sorts incoming email into various categories, with your own review allowing you to customize messages and senders. It can snooze unimportant messages, make newsletters skip the inbox, and set you to Do Not Disturb for as long as necessary to get your work done. SaneBox is the most expensive item on this list thus far, starting at $60 per year for a fairly limited plan, and rising to $300 per year to manage four inboxes with unlimited attachments, reminders, and other extra features. 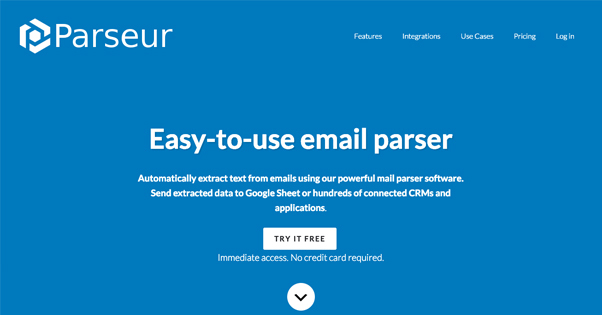 Parseur is an email parser that can take data coming in from emails and automatically extract it and plug it into one of many different CRM platforms. This data can take just about any form, so long as it’s standard enough that the parser can identify it when you need it to. It works best with a standard template form of email; for example, a ticket number in a standard ticketing system. How does this replace Gmelius? It’s not quite a match, but one option is to use it to parse and refer any important data to a central hub, thereby unifying certain data streams from multiple inboxes into one. Some of you will love the automation it can provide, while many of you won’t see the use, and that’s okay. I’m not certain where they decided this was a good name for an app. On acid implies psychedelic hallucinations or being slowly dissolved, but neither of those is true with this app. Instead, they’re an email management platform. They test your emails to make sure they send and view alright, they make sure you won’t run afoul of spam filters, and they can let you edit your emails on the fly while testing rather than having to repeat and regenerate tests over and over. 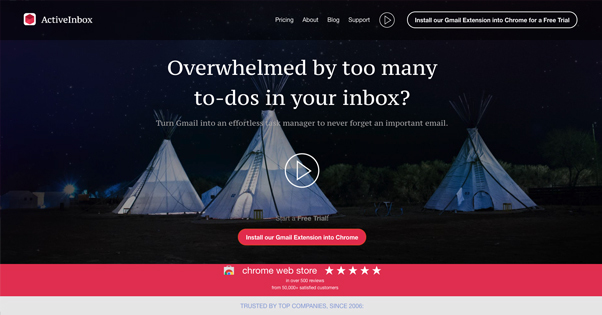 This extension for Firefox and Chrome helps people achieve inbox zero by converting emails into tasks on a to-do list based out of your inbox. It includes email tracking and open notifications to help you send replies exactly when you should to catch attention and get the responses you want. Pricing is a bit strange, with the personal account at $4.16 per month, and pricing going up from there. I suppose strange numbers of cents makes it stand out. 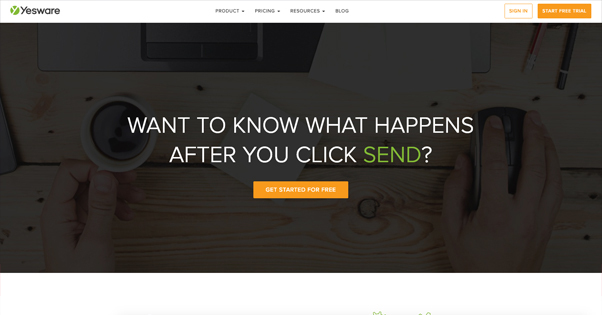 Yesware is a complete email tracking and marketing/sales platform. Everything Gmelius does, it can do better. Tracking emails is child’s play; Yesware tracks open rates, open times, notifications in a feed, and even pageviews within presentations and attachment opens. It integrates with Salesforce. It has an automation engine that’s similar to Gmelius, but more robust, with more options and more workflows. The information it can harvest to build customer profiles is incredible. It’s even priced reasonably, ranging from $12 to $55 per user per month. FullContact is a highly scalable suite that can find a home for anyone from individuals to entrepreneurs to enterprise-level businesses to developers. 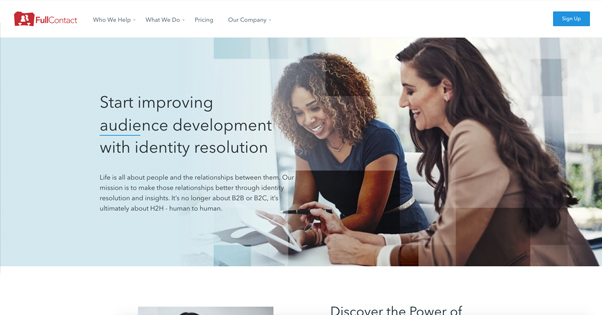 They have a huge array of advanced features, including identity resolution, audience insights, fraud prevention, and customer care, on top of basic contact management and email handling. Really, they’re much more advanced than a mere email platform; they’re much more focused on profiling customers. As such, while they have a free version, their basic paid version costs $500 per month and includes a lot of restrictions. 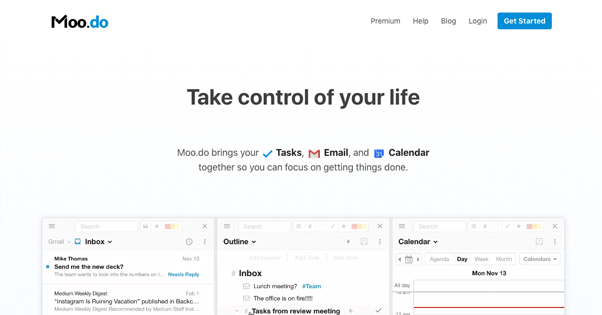 Moo.do is a surprisingly powerful task manager for Gmail that links up a variety of other apps, including tasks, Google Calendar, Drive, Contacts, Evernote, and One Note. It works as an email client and calendar as you might expect, but it includes Evernote-like functionality to create outlines and task lists, and includes markdown code so you can make your lists look good. The whole thing works with a clever drag and drop interface and is slick as heck. I highly recommend checking it out if you work out of your inbox like you live there. 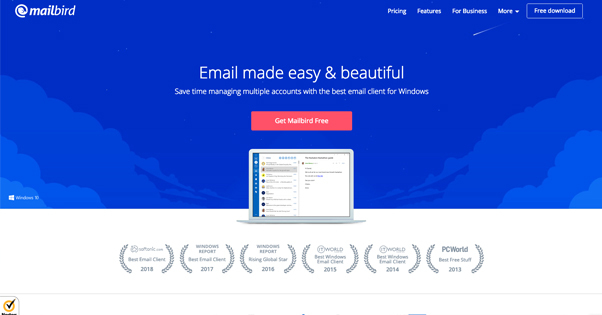 Mailbird is a Windows-based email client that helps you manage multiple accounts at the same time. 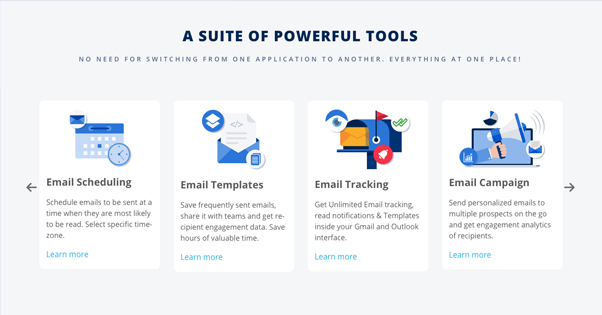 You can connect it to a variety of different email clients and accounts to create a unified inbox and client, with customizable layouts and color schemes to personalize your interface just the way you like it. It can also integrate with other related contact apps, including WhatsApp, Twitter, Facebook, Todoist, and a lot more. It’s a great client if you’re on Windows, though it’s not available for other platforms for the moment. The lite version is free, but they have a pro version for $24 annually and an $80 option for a lifetime license. 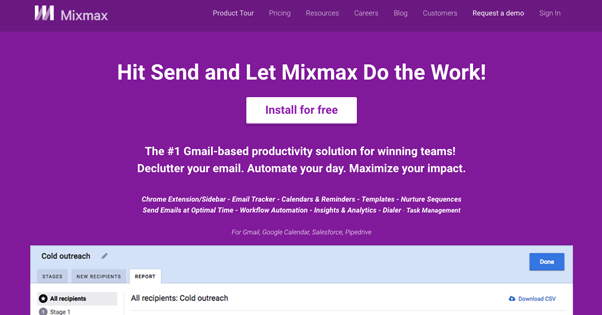 Mixmax is a Gmail product that does a lot of outreach management for you. It shows you a ton of data right up front, including the number of emails you’ve sent to how many recipients, your open rate, click rate, attachment download rate, and reply rate. The basic version is unlimited email tracking and scheduling, reminders, templates, and appointments. Higher tier versions have team versions, CRM integration, and even custom domains. 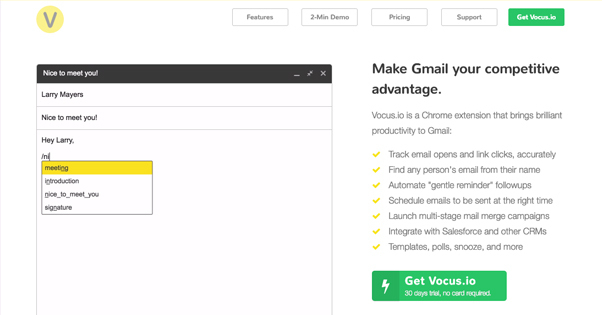 Vocus is an extension for Chrome that brings a bunch of productivity features to Gmail. It tracks opens and link clicks within those emails. It can track down the email address for anyone based on their name, and it can automate email follow-ups. Scheduling is included, and there are multi-stage email campaigns just waiting to be configured. It integrates with a bunch of CRMs including Salesforce on top of everything. 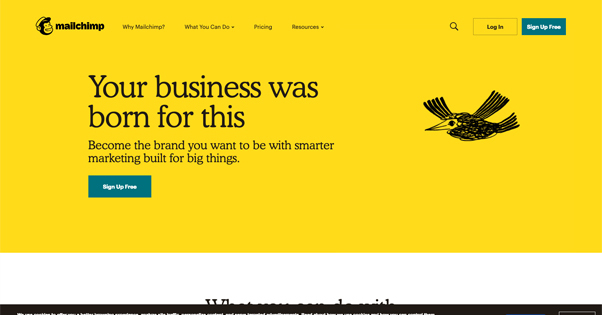 Let’s be honest here; you don’t need me to tell you about Mailchimp. It does basically everything you could want it to do, and the only disadvantage is having to stare at the color Yellow a whole lot.